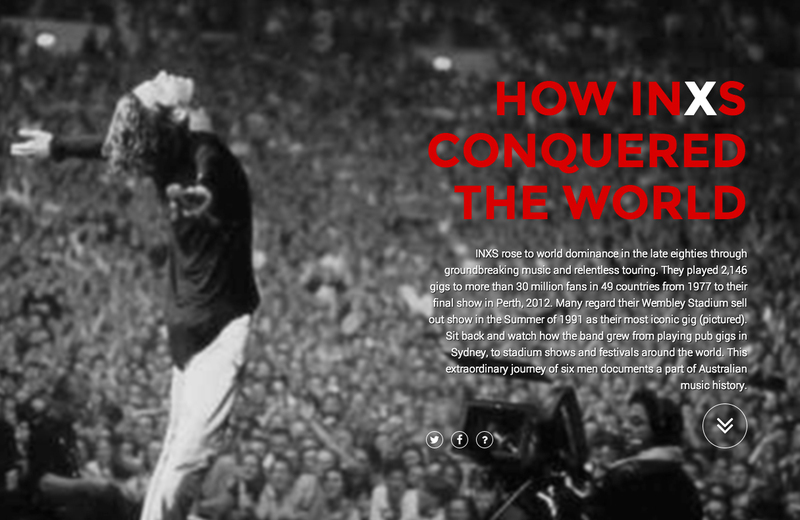 How INXS Conquered the World is an interactive mapping application celebrating the bands 2,145 gigs from 1977 to their final show in Perth, 2012. INXS join an exclusive of bands who have played over 2000 gigs which includes The Rolling Stones, Bon Jovi and Bob Dylan. 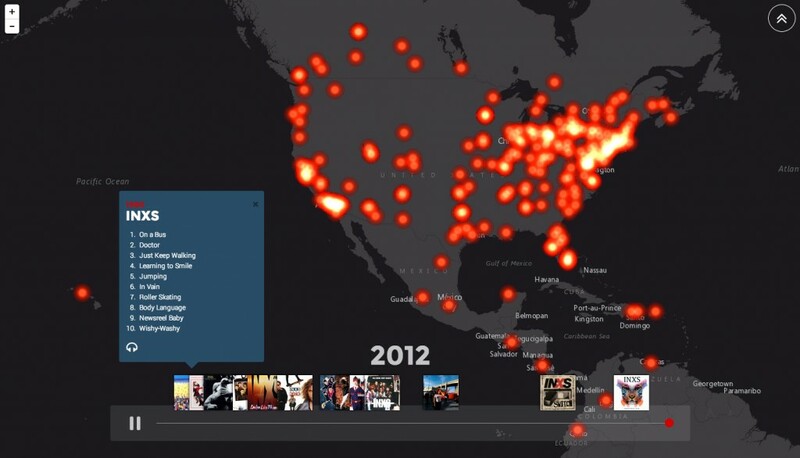 It’s not until we map the spread of their gigs over time do we see the true extent of their touring schedule over the years, and the effect they had on millions of fans around the world. We hope you enjoy this trip down memory lane!